Open Door offers homeless young people (ages 16-24) accommodation in the homes of individuals, couples and families who live in the Black Country. A young person placed with a Host will receive support from YMCA Black Country Group to help them gain the confidence and skills they need to become independent adults. A young person, subject to passing a risk assessment, is given an emergency Nightstop placement with a Host family while a more permanent living situation is sorted out. 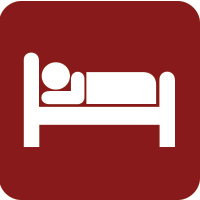 Dinner, bed, and breakfast are provided on this service, and daystop if required. A vulnerable young person is placed in Supported Lodgings with a Host family for up to 2 years while homelessness remains a risk. Each individual is given a Project Worker, who works with them to develop skills for life. We encourage young people into education or employment to lead them into independence, and a sustainable future. You can follow us on Twitter and Facebook to keep up to date with what’s happening in Open Door. Young people have to present to their local as homeless, so that they can be referred on to the project. Unfortunately we cannot take self referrals due to cost implications.